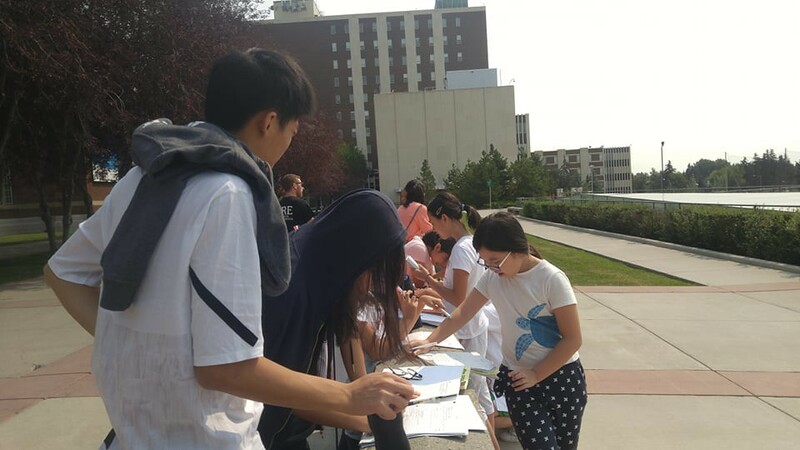 What an eventful day for the Marmots! As usual, the day started with an awesome breakfast followed by some great lessons from our Wynchemna teachers. 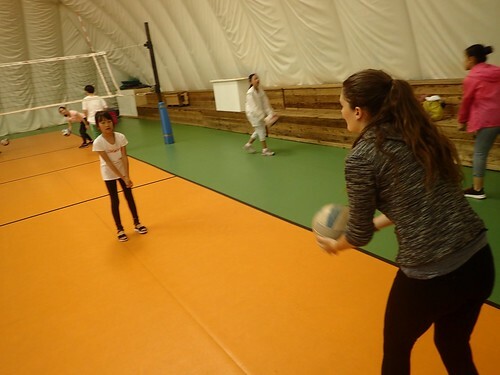 The Marmots then piled on the bus to play some indoor volleyball in Calgary’s Volleydome. 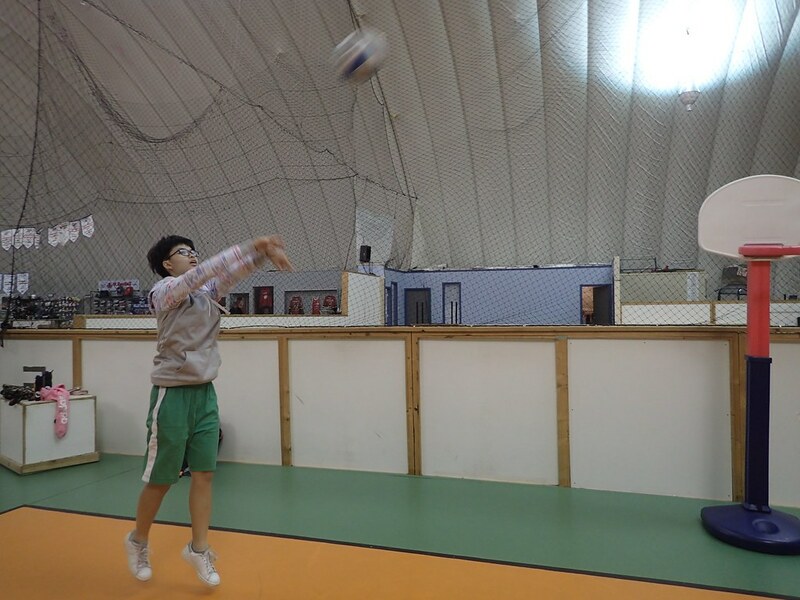 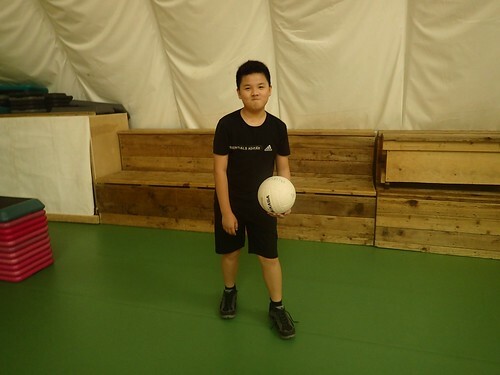 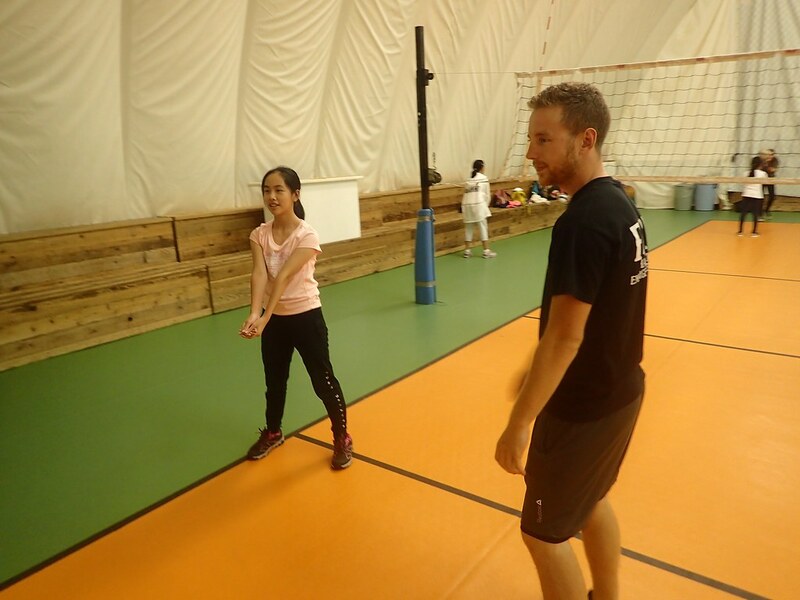 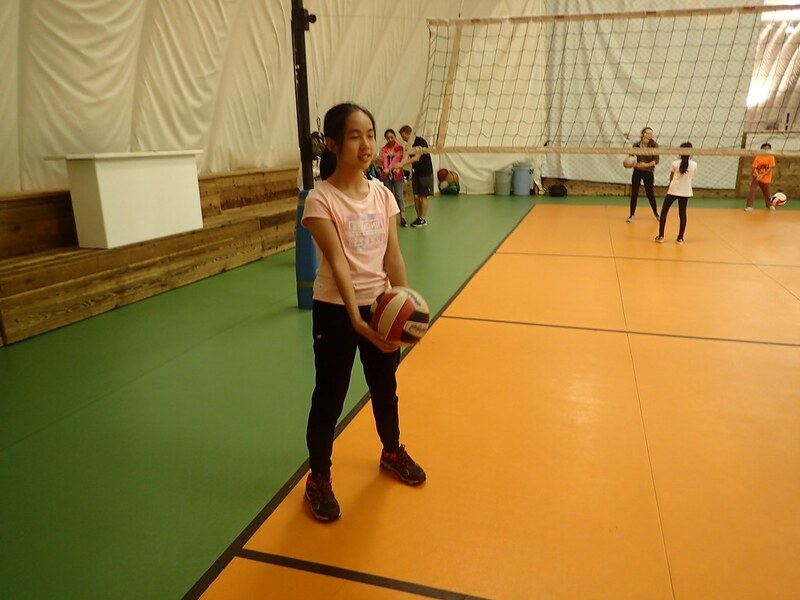 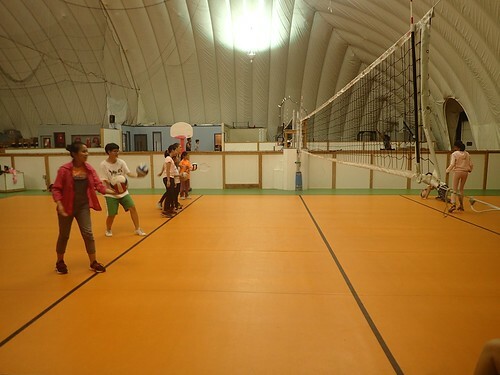 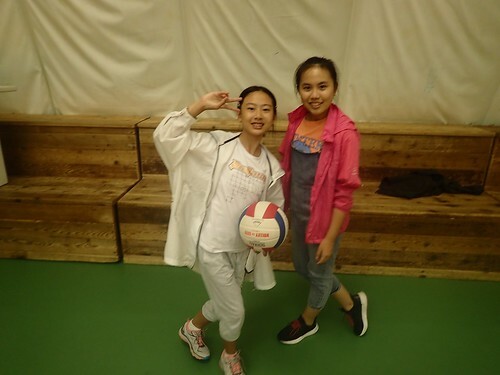 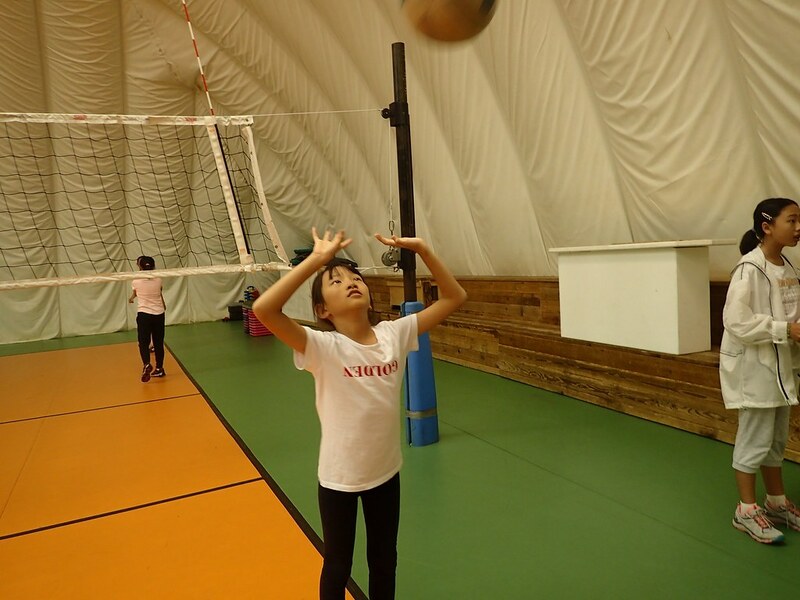 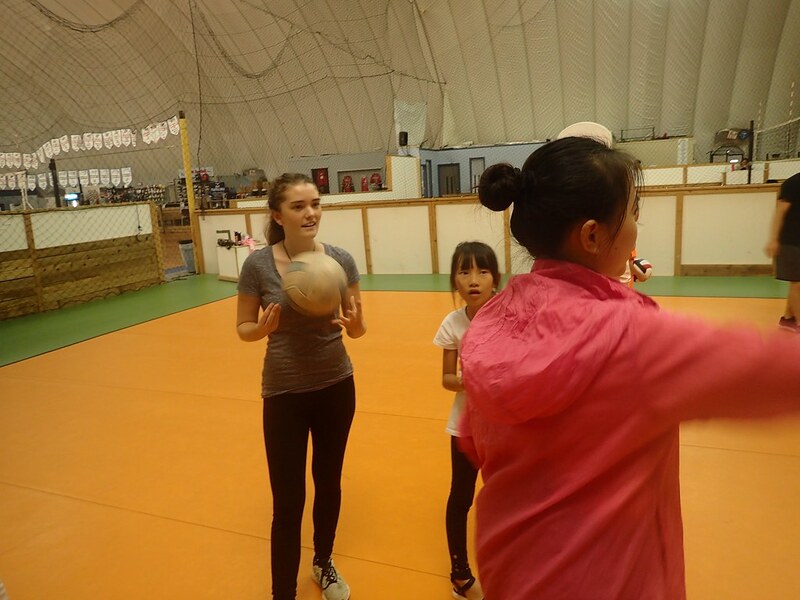 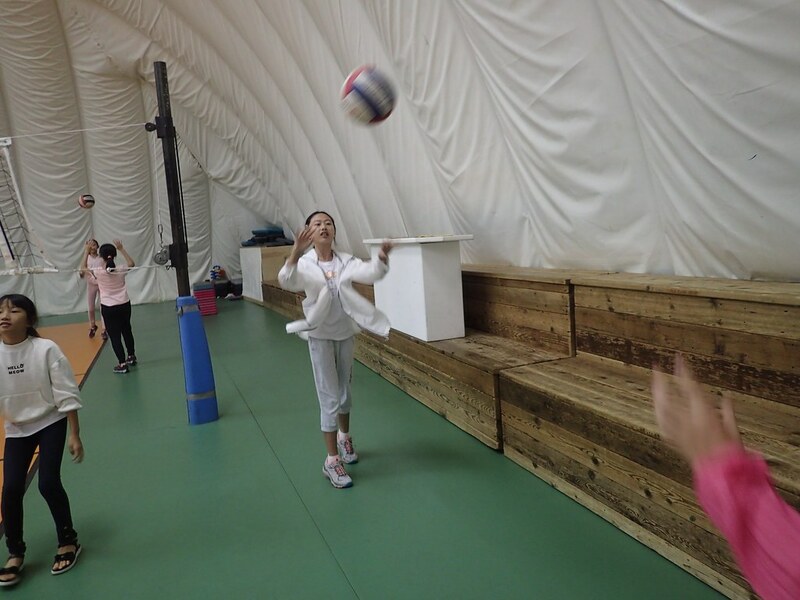 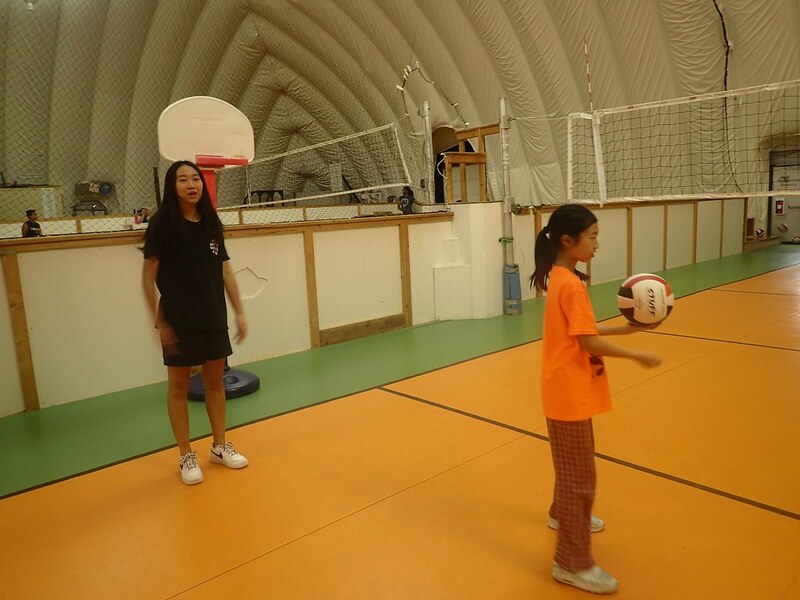 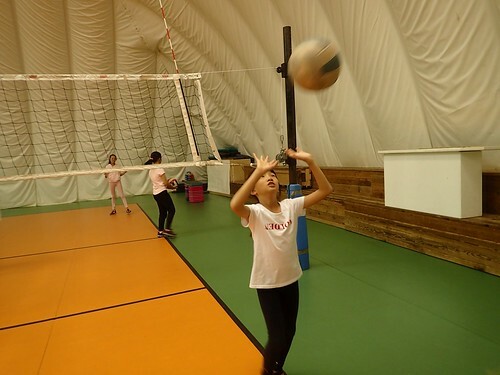 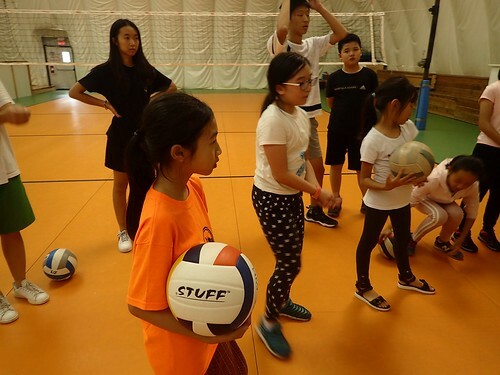 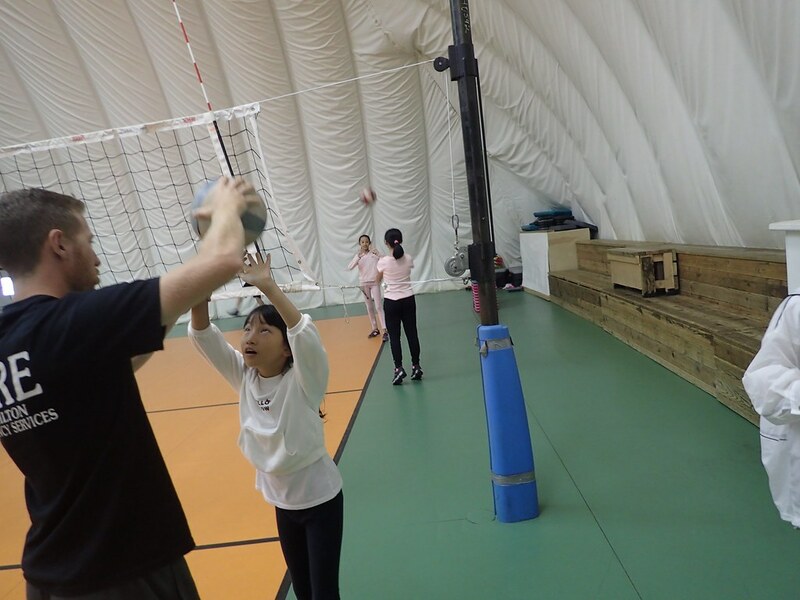 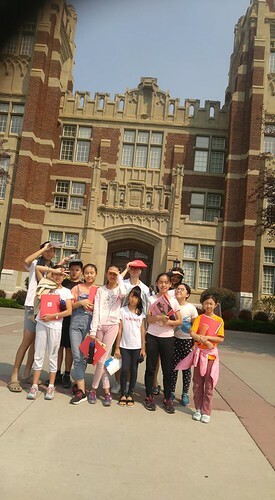 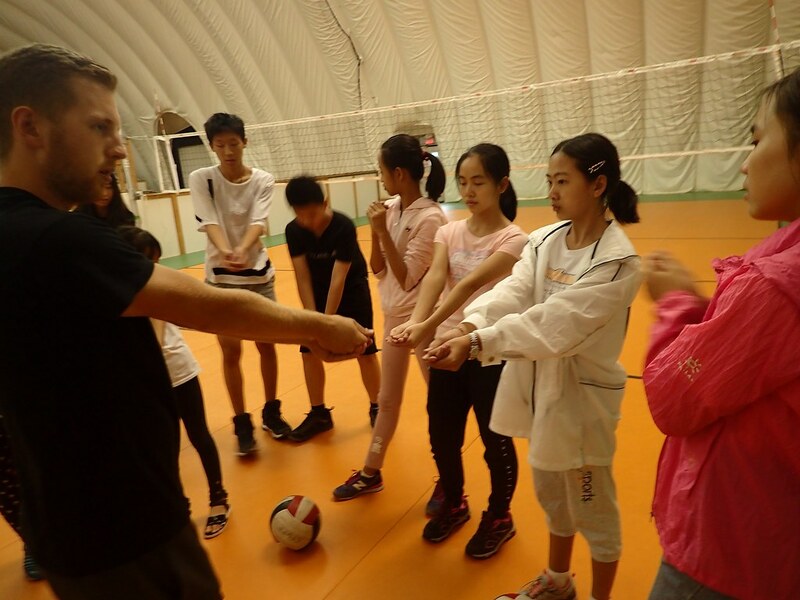 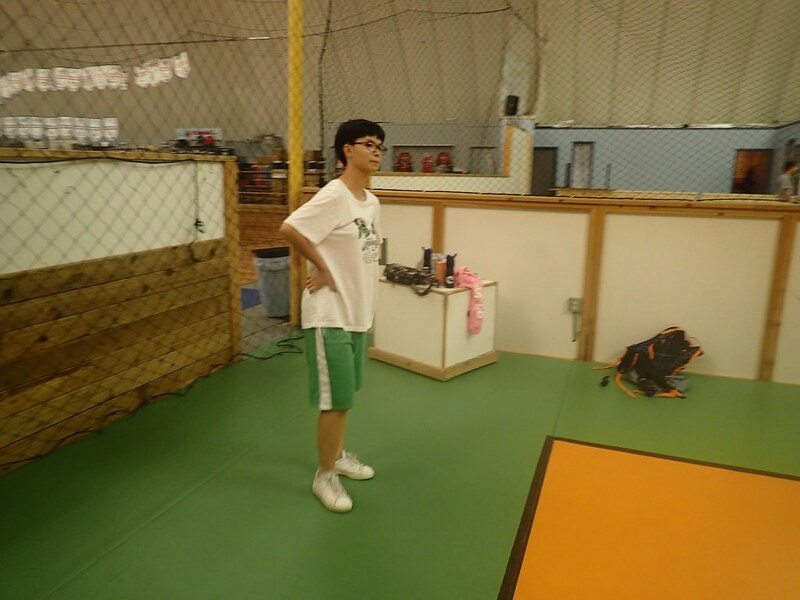 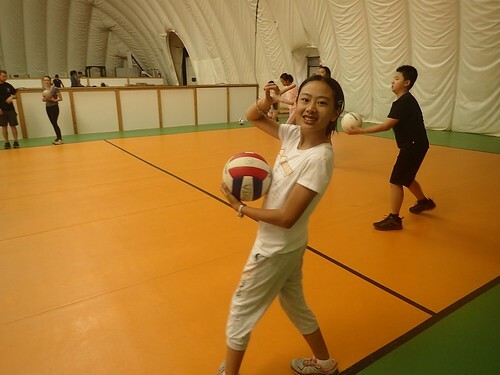 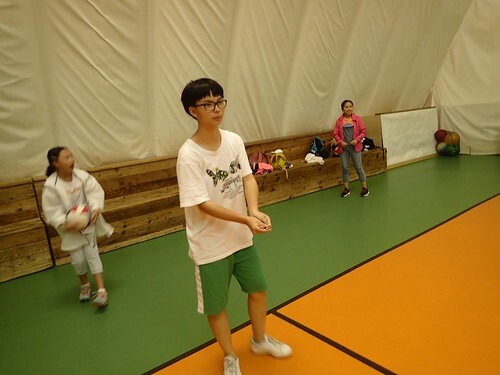 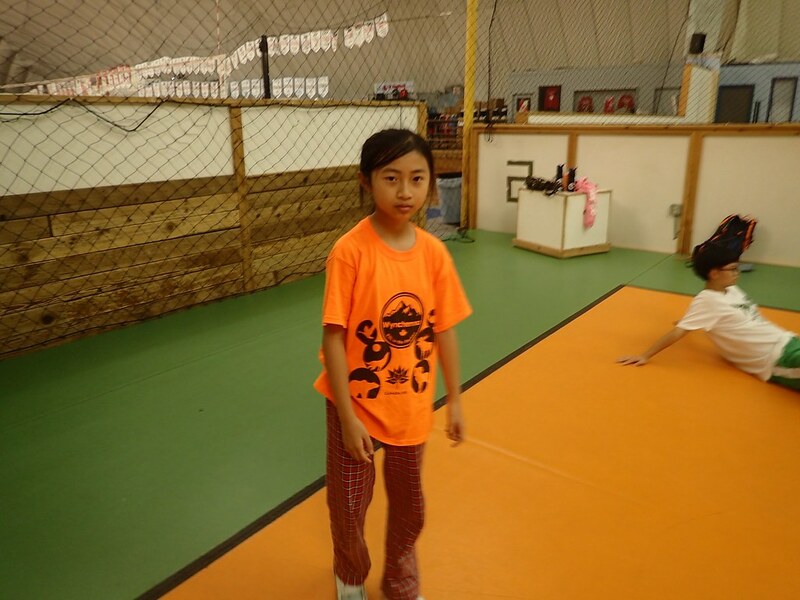 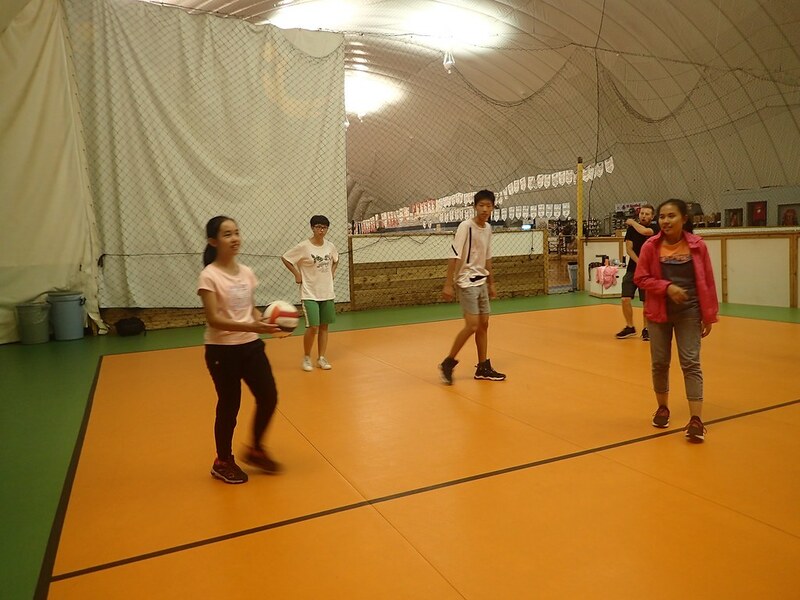 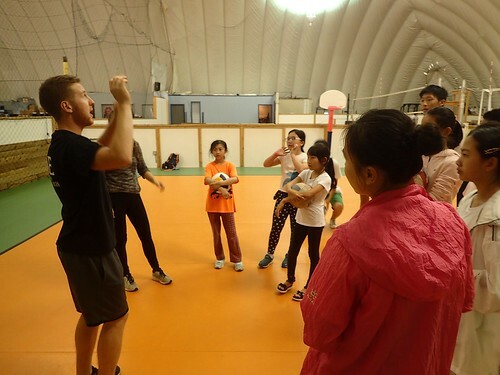 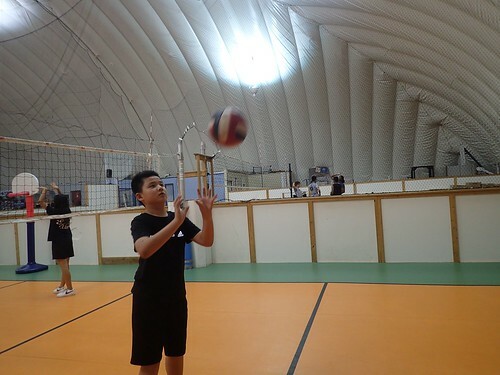 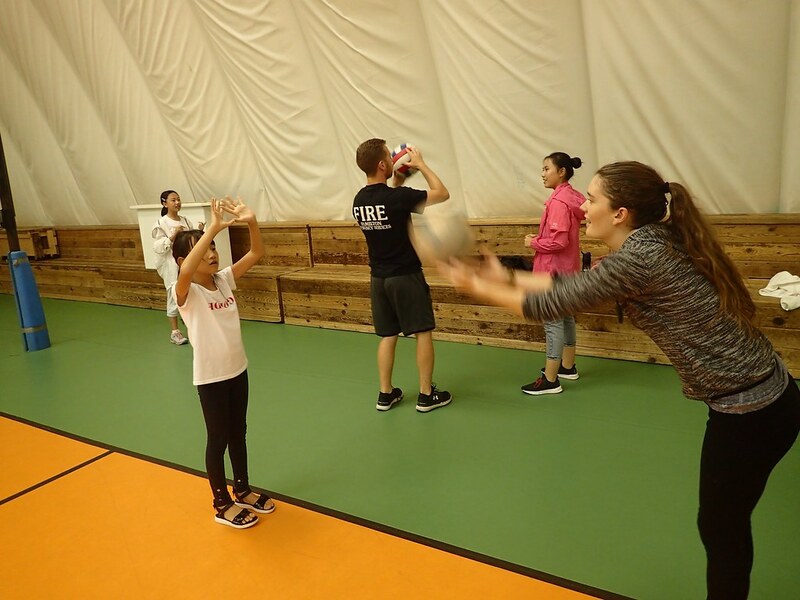 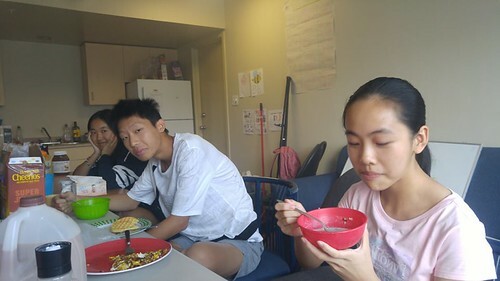 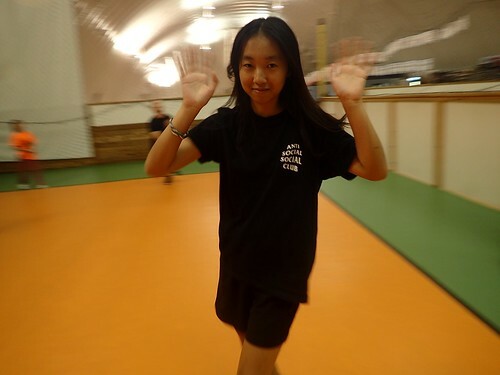 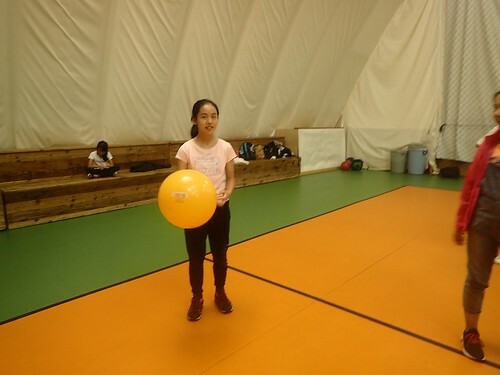 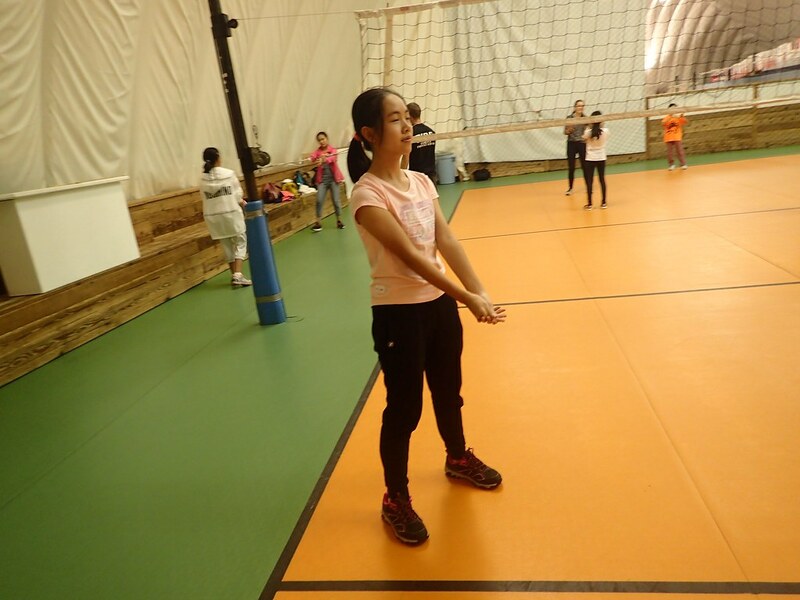 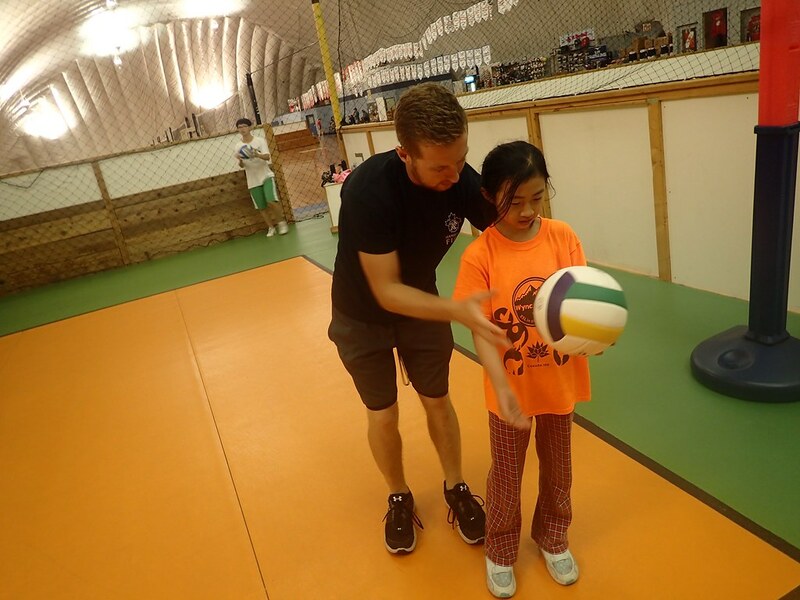 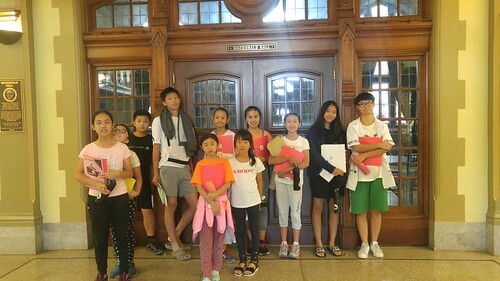 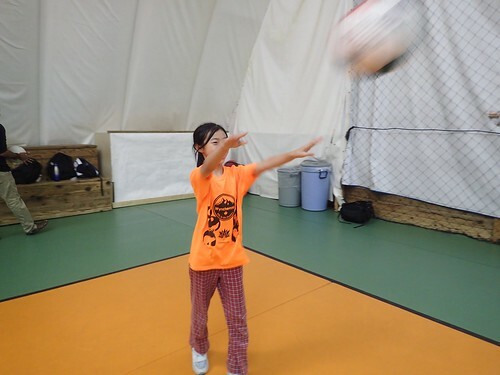 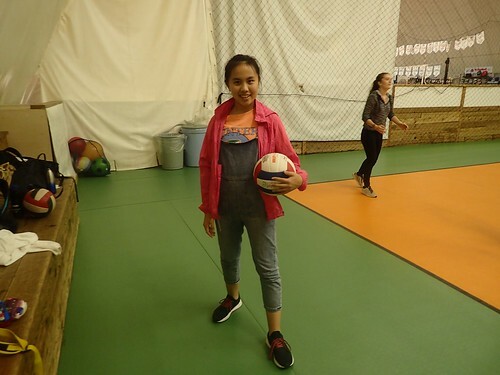 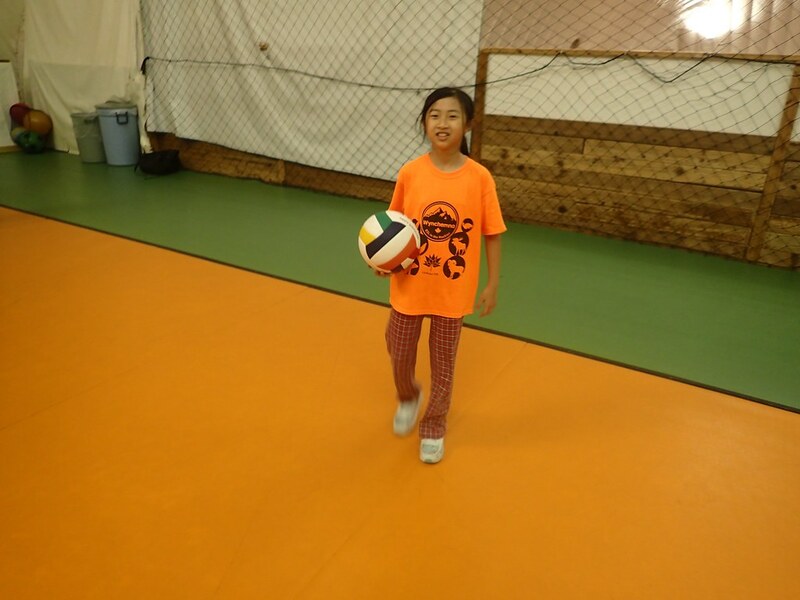 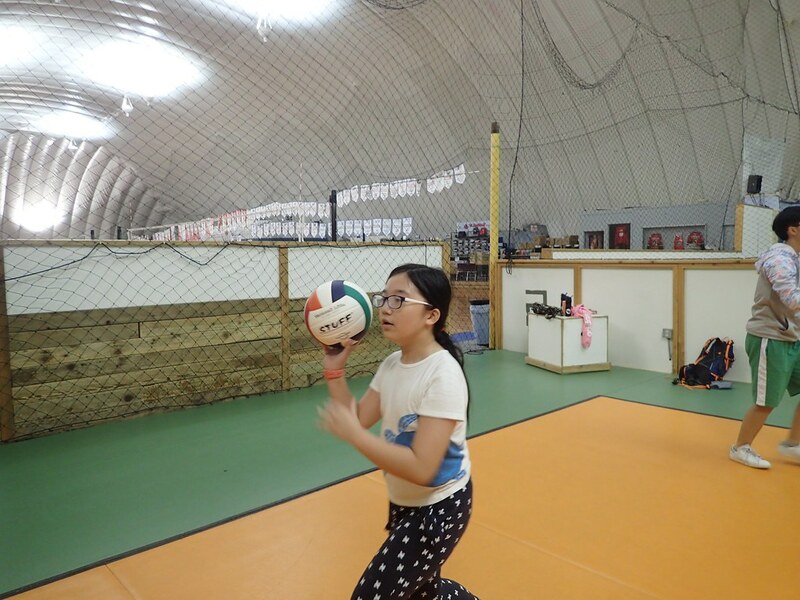 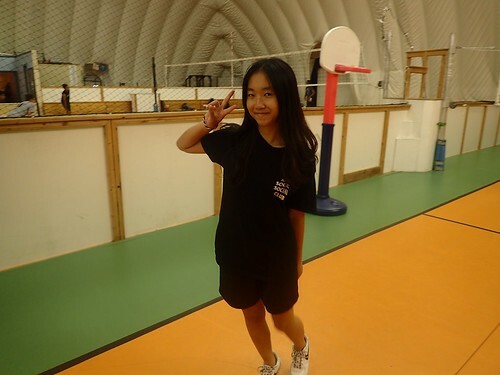 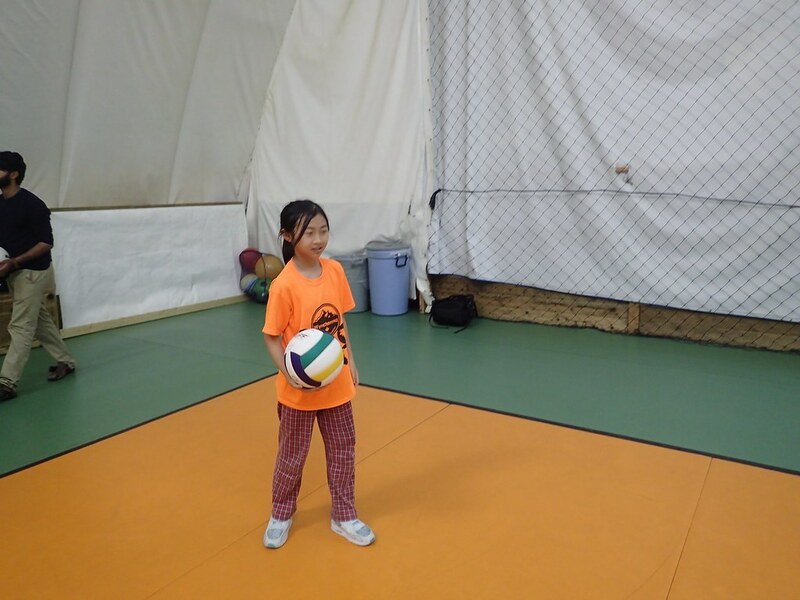 They learned how to volley, bump, serve and eventually how to play a full game of volleyball. 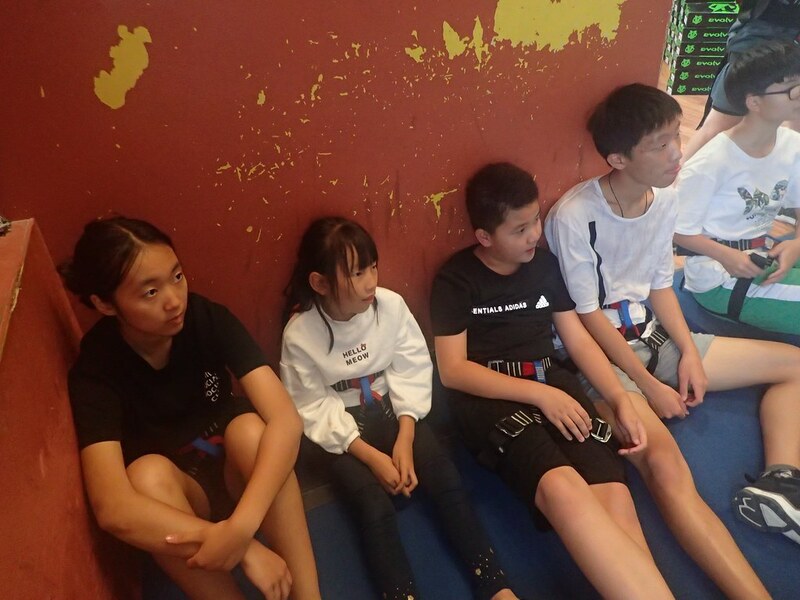 Great fun was had by all and the game was oh so close right until the end. 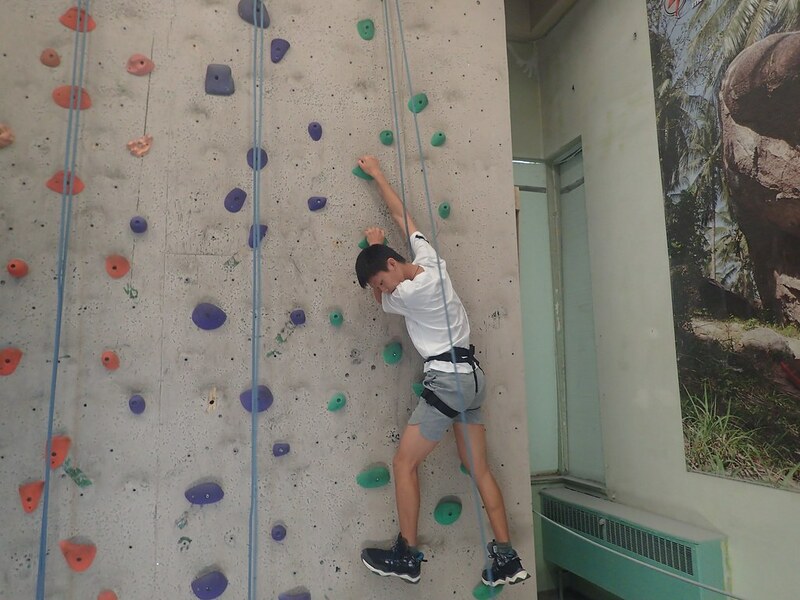 Next, the Marmots hopped back on the bus and travelled to the Calgary Stronghold for some rock climbing. 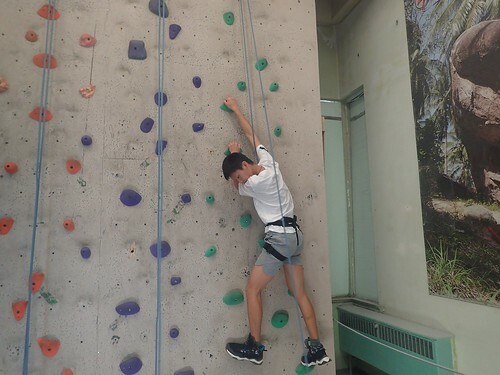 Since it was the Marmots’ second time there they were able to skip all the training talks and jump right into the rock climbing. 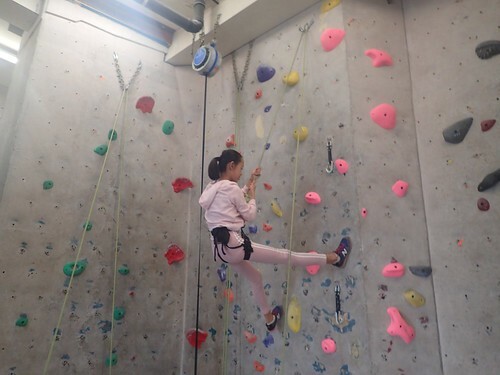 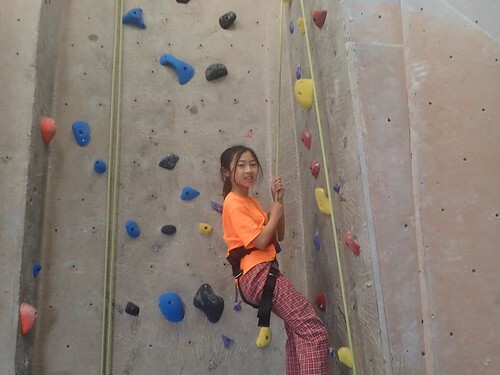 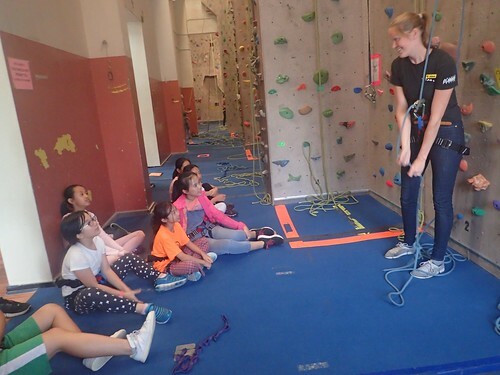 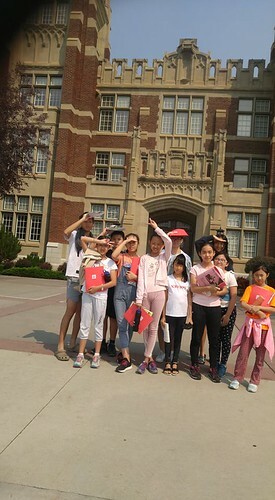 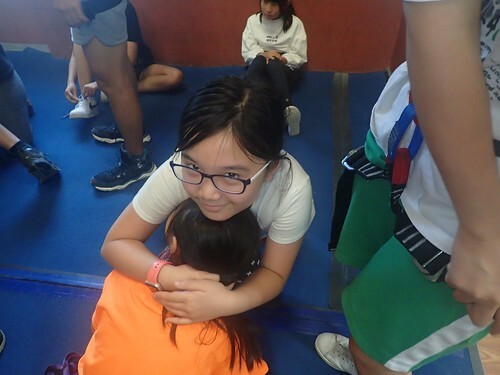 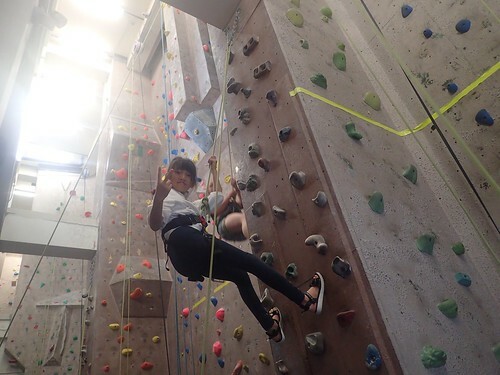 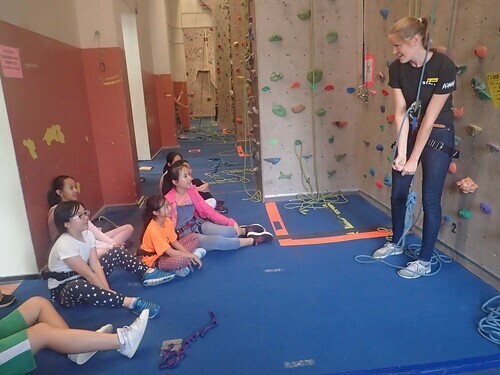 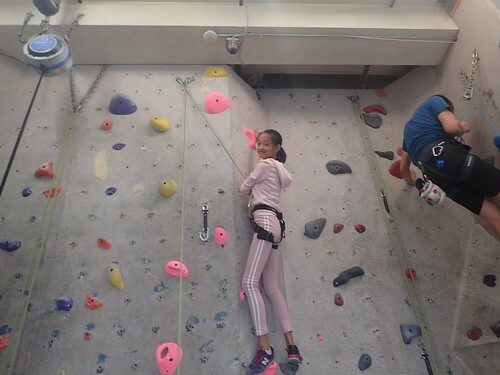 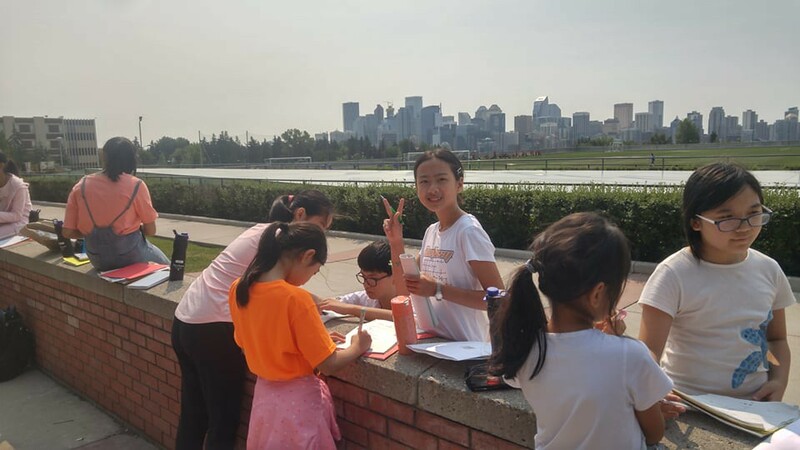 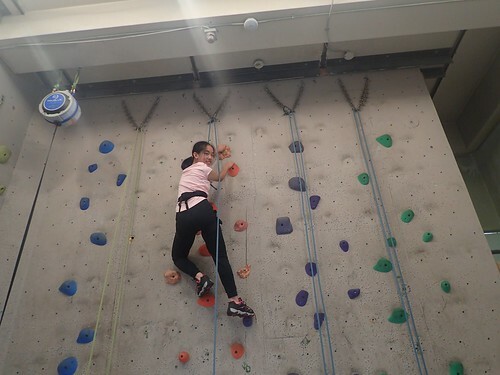 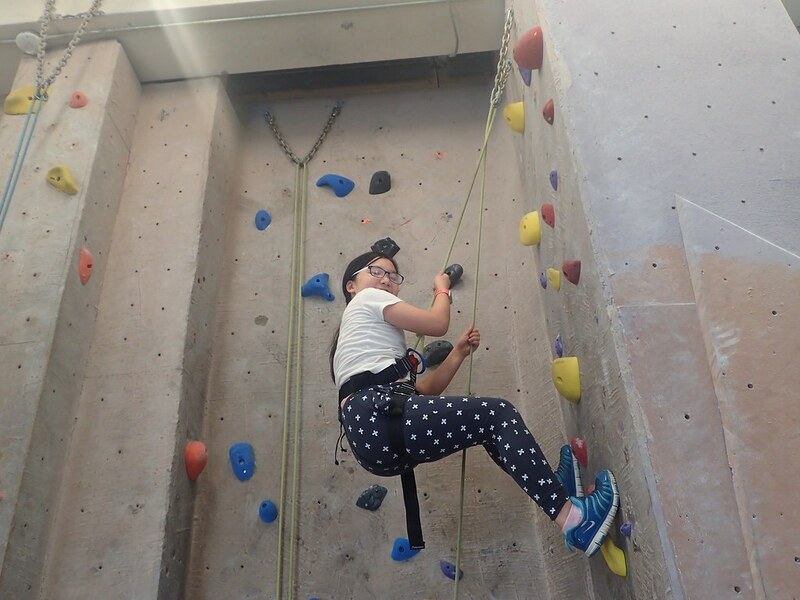 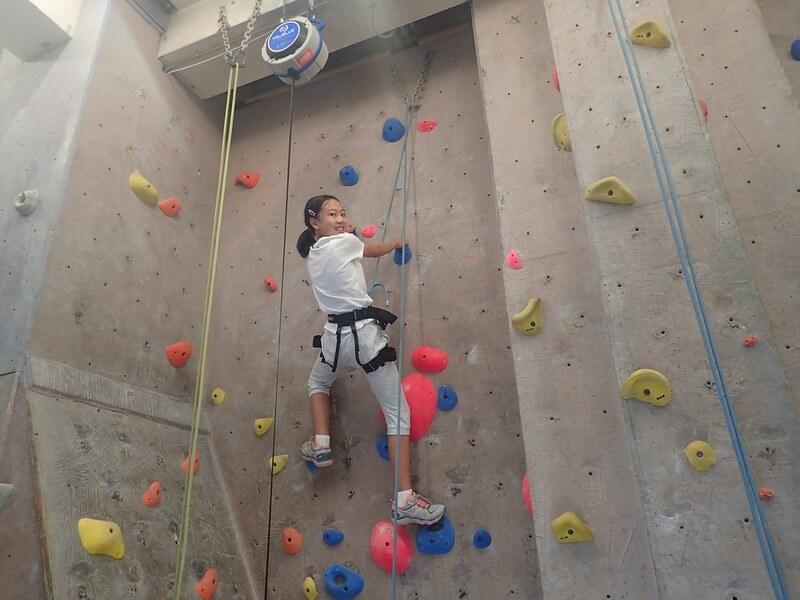 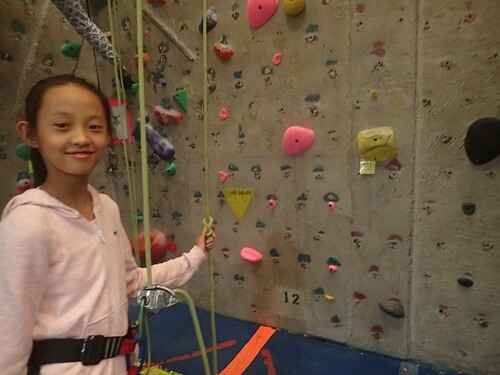 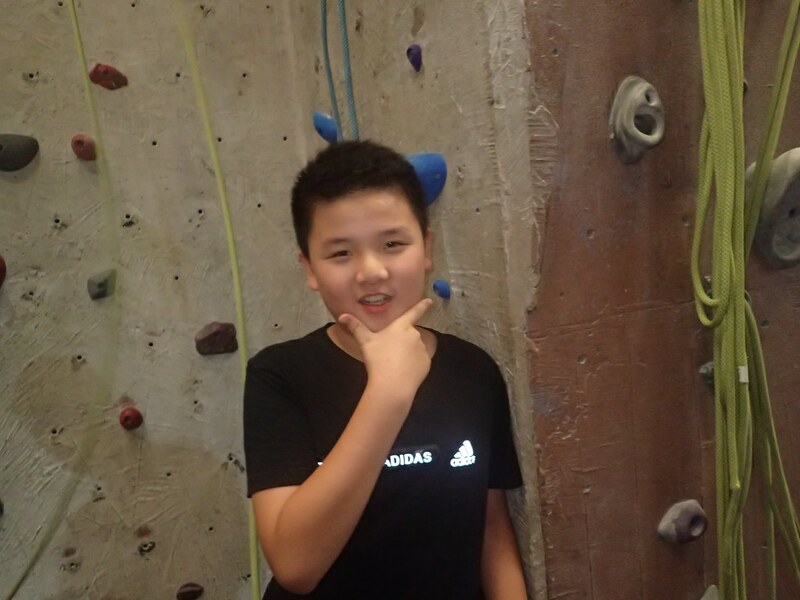 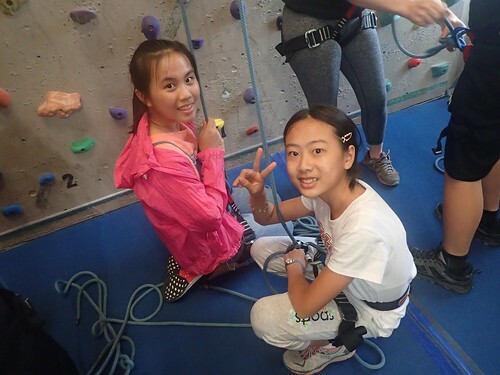 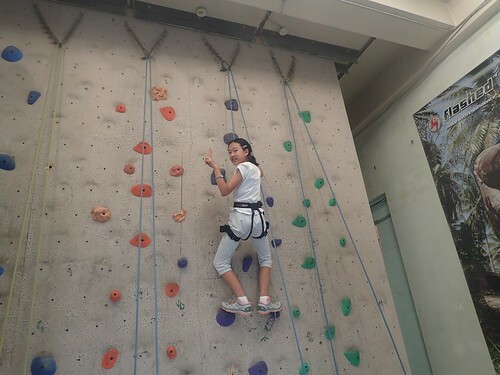 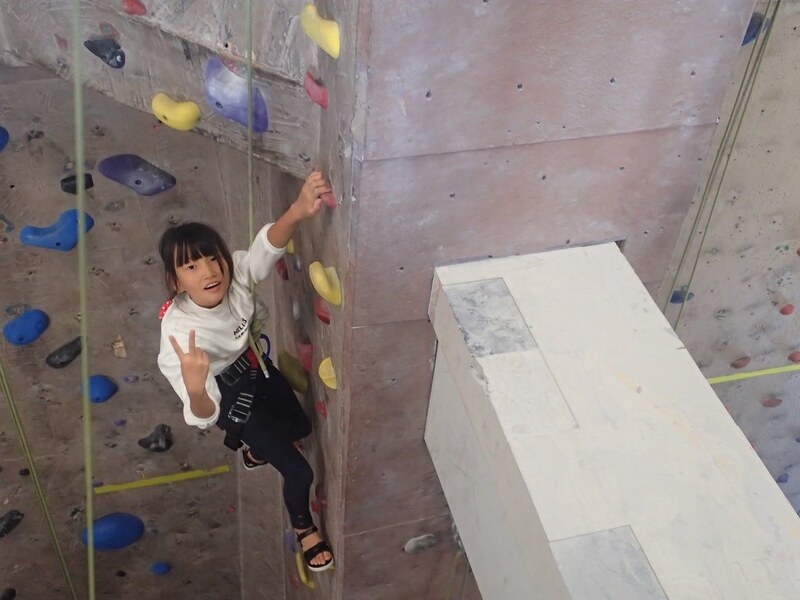 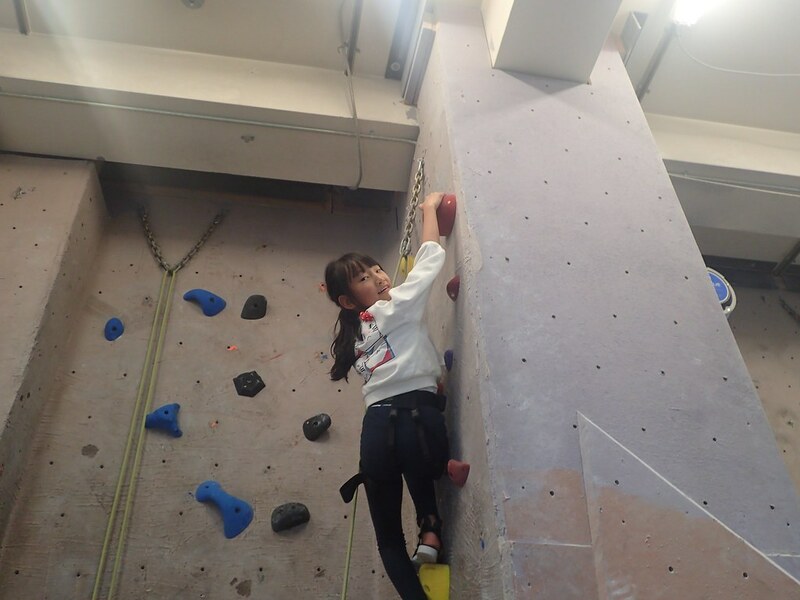 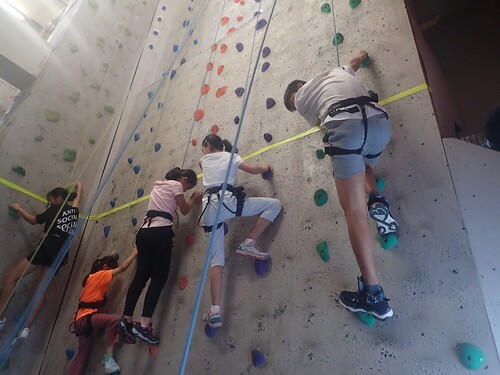 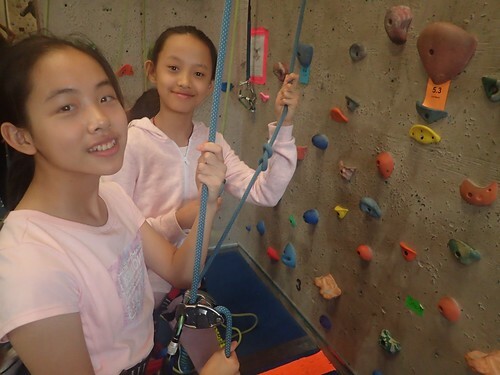 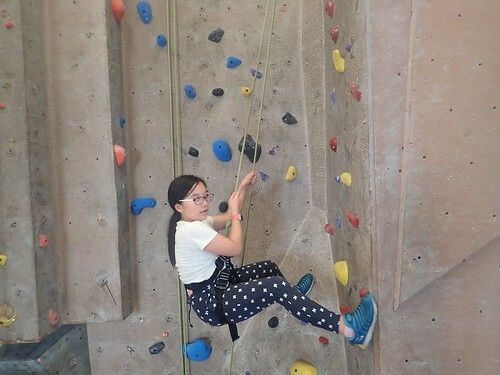 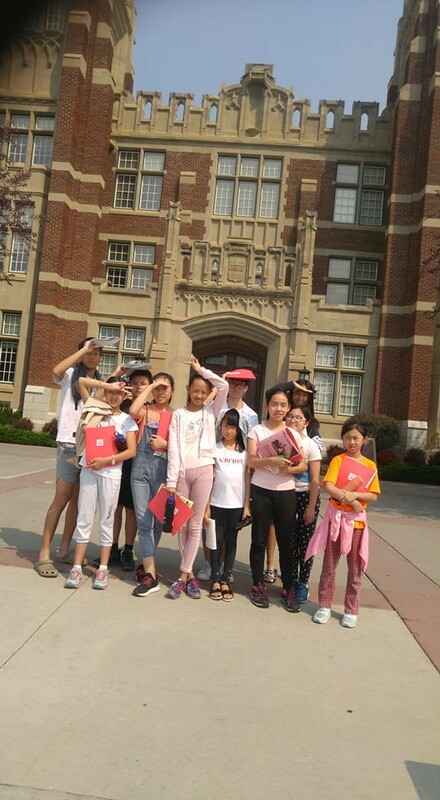 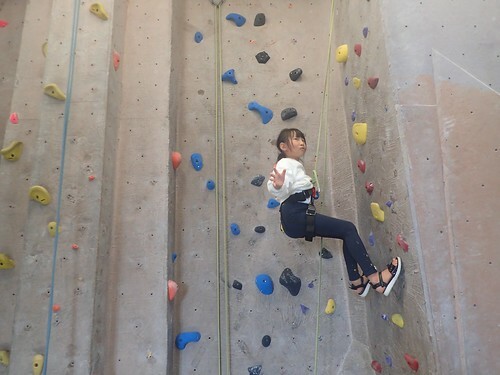 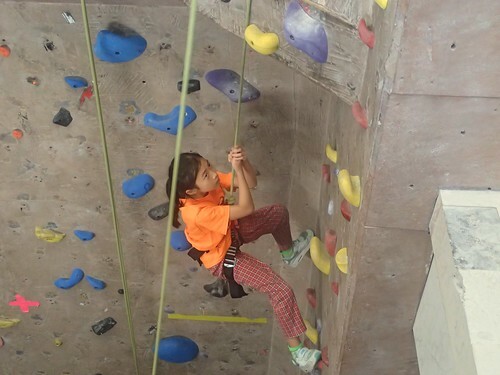 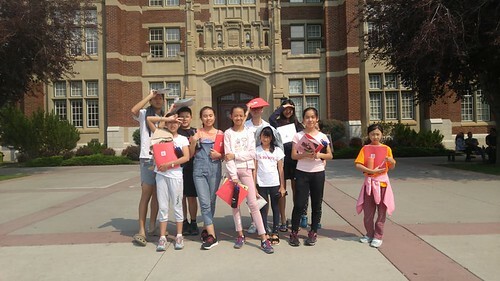 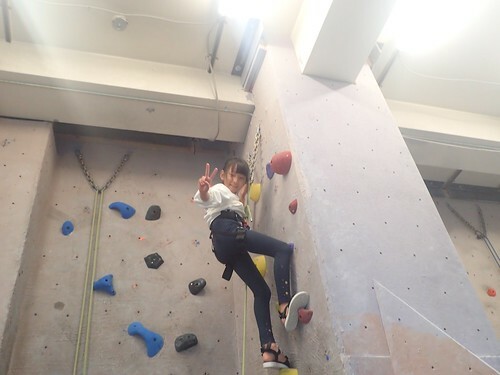 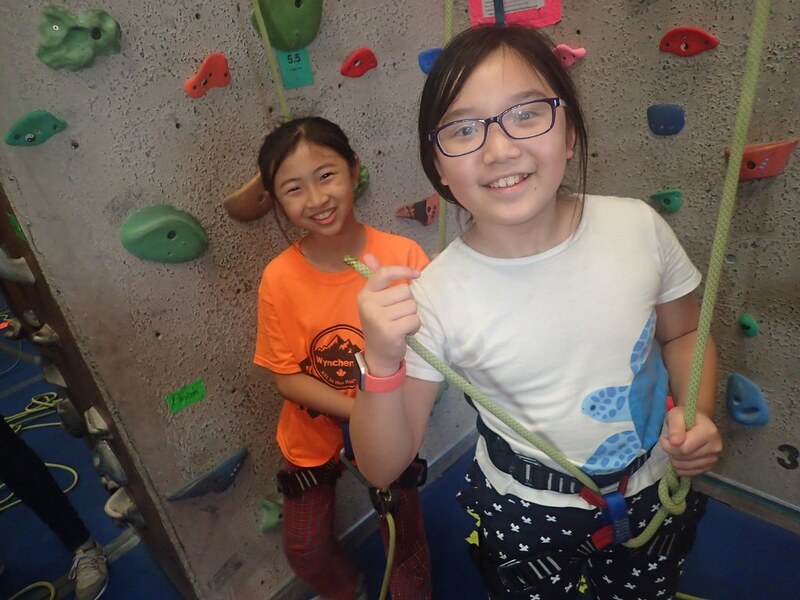 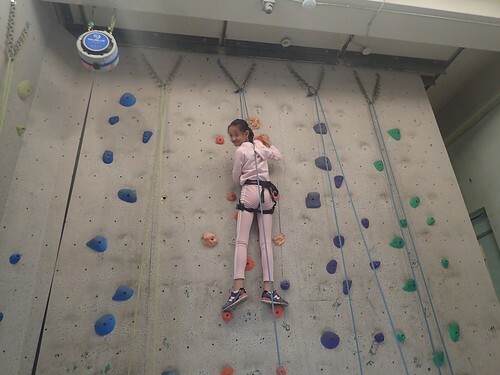 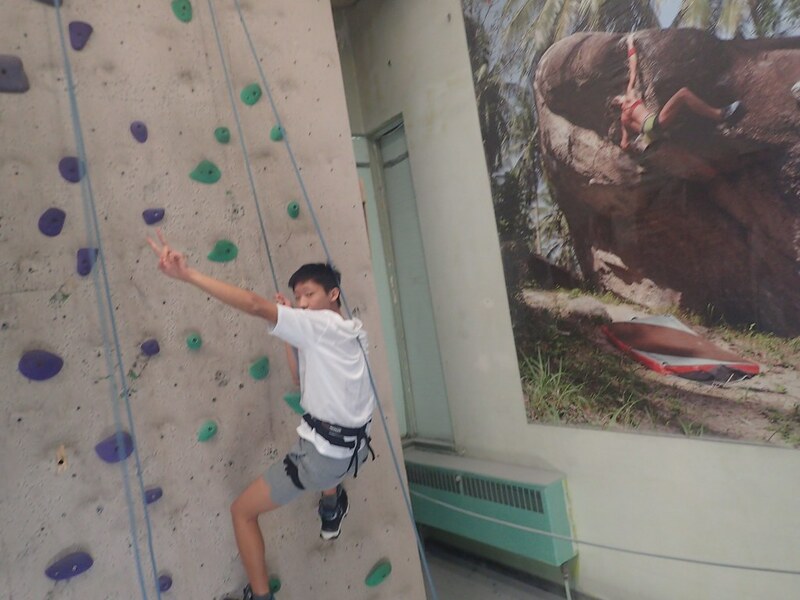 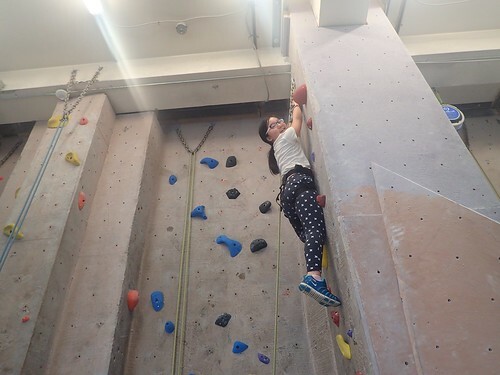 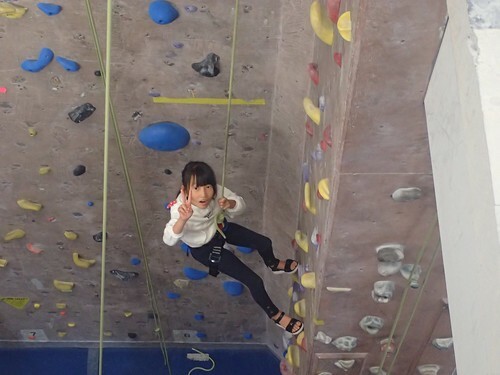 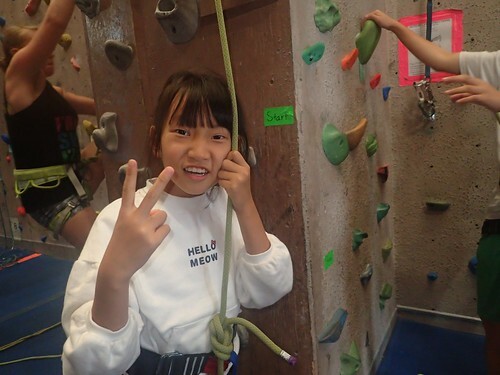 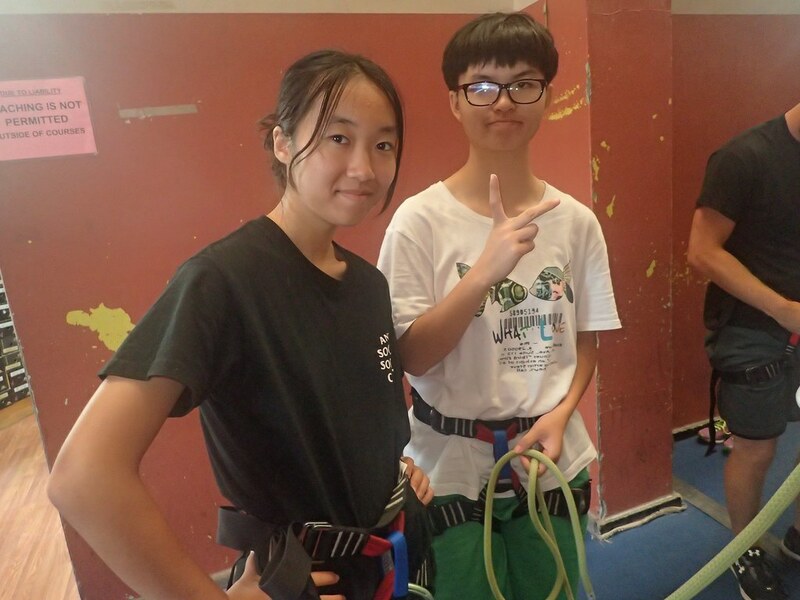 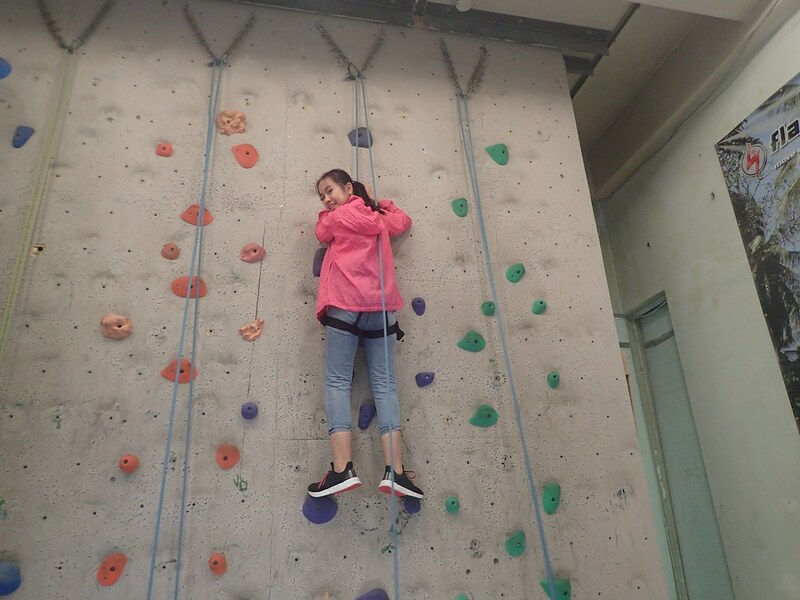 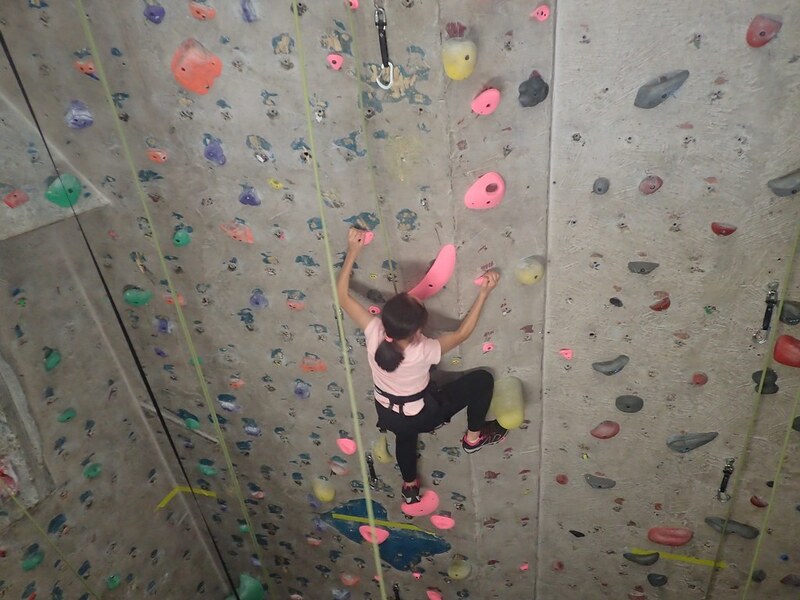 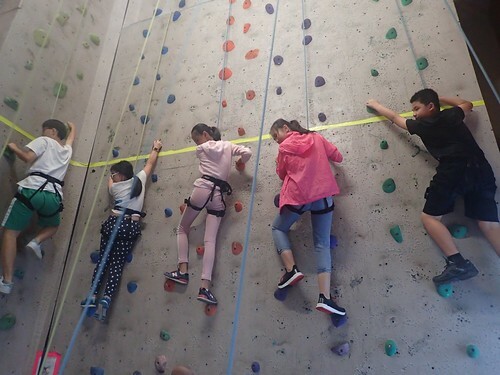 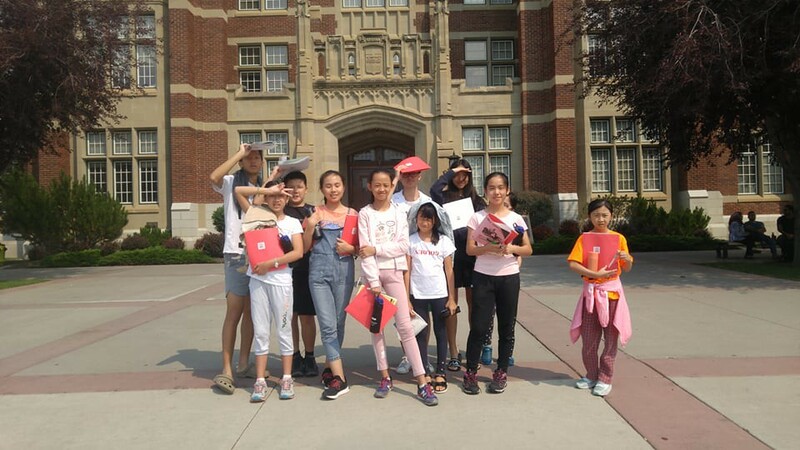 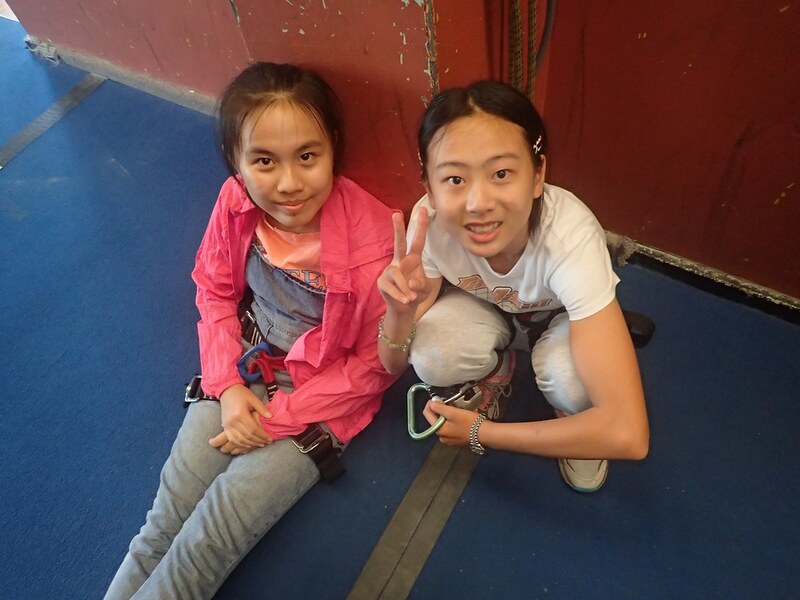 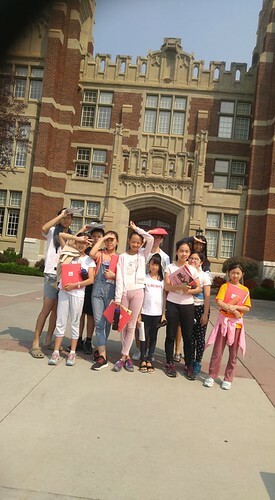 Even though they were a bit tired from volleyball our enthusiastic Marmots soldiered on and had a blast rock climbing – each and every student made it to the top at least once! After rock climbing, the Marmots headed back to the residence for an awesome lasagna dinner. Once they were done with supper, everyone dressed up in their spiffiest outfits and headed downstairs for Wynchemna’s Casino Night. 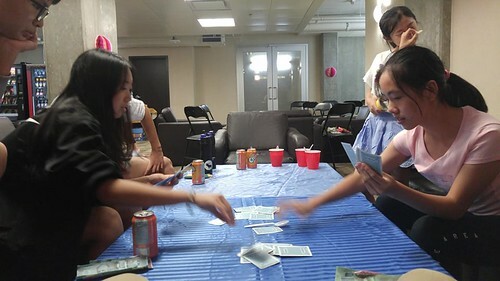 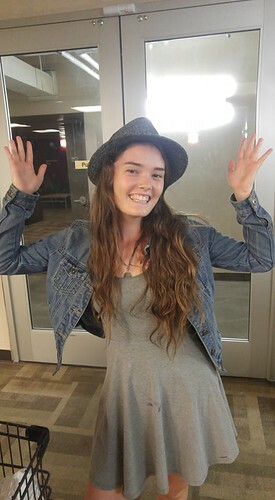 The Marmots played games like Uno, Blackjack, Roulette, Spoons, and even Bingo! Many bets were won and lost, but fun was had by all. 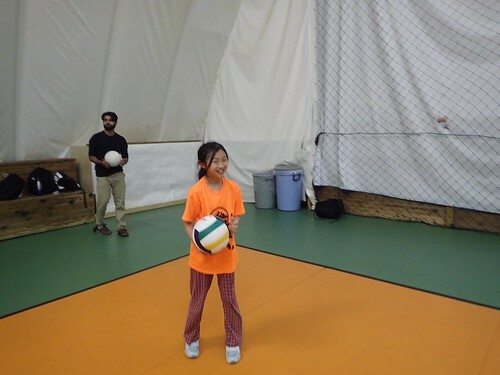 At the end, the Marmots were able to auction off their hard-earned cash for an assortment of fun prizes. 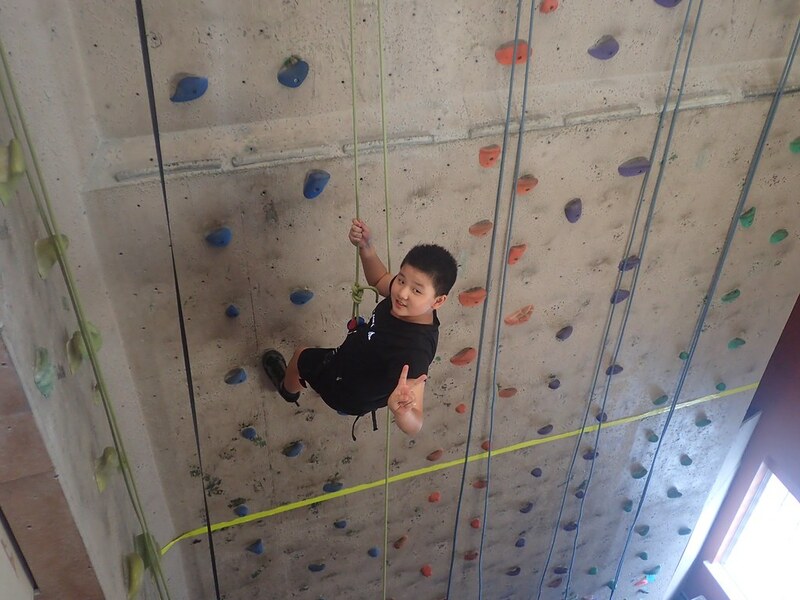 All in all, it was a great day and we can’t wait to wake it up and do it all again tomorrow.